I contacted Jaguar UK a few days ago and asked if they'd be willing to put anything up for a prize for a competition that we would be running. To be fair, its not something they usually do, but....I managed to get a little something out of them. 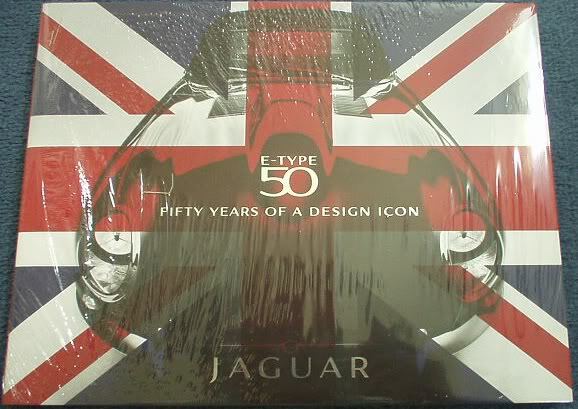 Its "The Official Anniversary Collectors Edition" of The E type, fifty years of a design icon. One quote by Enzo Ferrari says " The Jaguar E type is the most beautiful car ever made"
Simply put in 250 words or less, what makes the marque that is "Jaguar" special and appealing, to such a broad spectrum of owners in general and you in particular. The top 5 replies that are considered the most informative / accurate and descriptive will be entered into a draw wth the winner to be selected at random by Admin. Anyone interested in Cadillac race school? Jaguar Accessories - Which Dealer / Vendor should I order from? Quick Reply: E Type ( Official Anniversary collectors edition ) competition! !